1. Have a Plan. Be sure that you have a solid strategy to follow up with your connections. Develop a method for organizing business cards and contact information collected, whether it’s a special place in your bag or a business card organization app. Don’t let them get lost in your luggage! Block time on your calendar for when you return dedicated to following up. Know your availability during and after the show to schedule follow up. 2. Take Good Notes. When you’re meeting large numbers of people and collecting large numbers of cards, details can get lost or forgotten. Develop a method of making notes about your interactions with people. Jot down key words or phrases to help trigger your conversation on their business card. Try to locate and connect with contacts on LinkedIn. Having a face with a name is always helpful. Be sure to add all contacts and notes in your CRM system! If it’s not in the <insert CRM of choice>, it didn’t happen! 3. Email ASAP. Getting that canned mass 'thank you' after a show can be frustrating. Send a short, personalized thank you email as soon as possible after meeting someone. Set time each evening (as long as it’s not too late and cocktails aren’t involved) to send a thank-you note to those individuals that you met that day. Be sure to include who you are, how you met and something from the conversation and let them know how much you enjoyed meeting them. Establish a call to action for your next step; whether it is lunch, a call, responding to an RFP, a meeting or site visit. 4. Practice your Penmanship. Send a handwritten thank you note to anyone that you had an appointment with, had a longer meeting with or have a strong business opportunity with. A handwritten note goes a long way and shows a level of appreciation and sincerity that emails and texts do not. Everyone loves to receive a handwritten note. It's a great way to stand out from the competition. 5. Whip out your Calendar. Time kills deals... 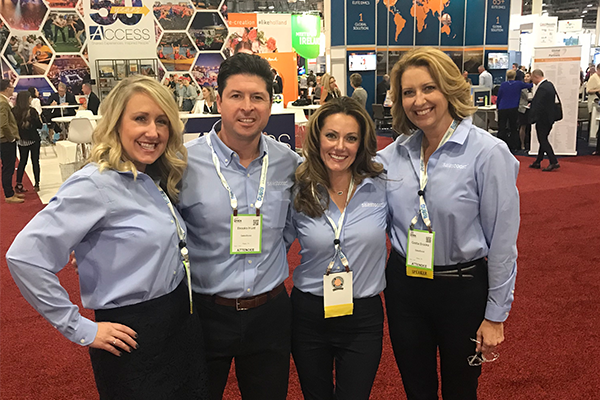 In the excitement of the moment on the tradeshow floor, it is common to throw out, "Let's connect when we get back!" Whether its coffee, lunch or a follow-up meeting, be sure that you confirm and schedule those opportunities as soon as possible. You don’t want to lose momentum! 6. Send a Gift. In some cases, you may have gotten a really great lead, made a connection with a target customer or closed a deal. In these cases, a little extra appreciation may be appropriate. A small thank you gift is a great way to follow up if the situation deserves it. Just be sure to adhere to any gifting policies you or your client's organization may have. For those customers that were on your list whom you didn't get the chance to connect, a small gift is a great way to open the door for a connection on a future date. Connections are valuable and can be worth millions; however, following up with those connections is priceless! Have a plan and follow through on your follow up. Keep the momentum going after a great show and make following up a priority. This will help build trust and mutual respect with your prospects and those solid relationships will lead future business and repeat business!